Sheldon Air Service's mission is to provide safe, cost effective transportation throughout Alaska as well as to provide their customers with a flight of a lifetime! 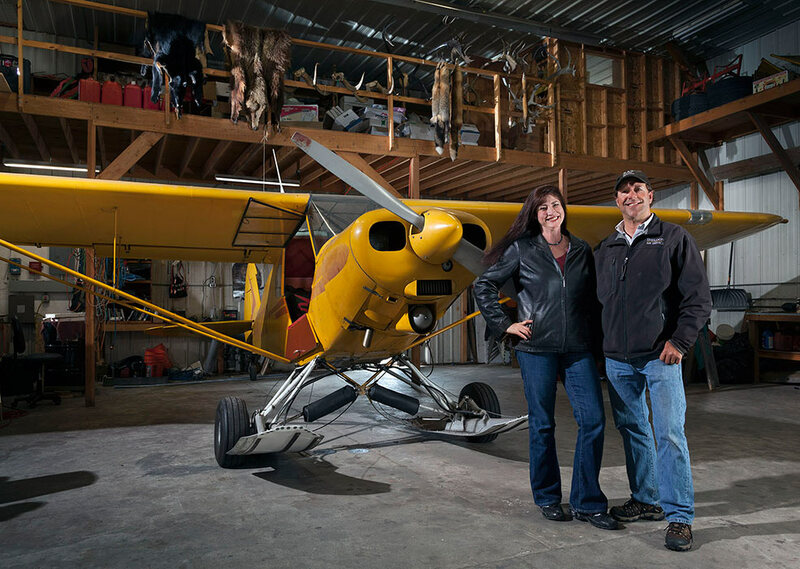 Offering flightseeing and air taxi services, Sheldon Air Service is family owned and operated by David Lee and Holly Sheldon Lee in Talkeetna, Alaska. Our family has been flying Alaskans to glaciers since 1932. David has been flying mountain climbers, visitors, homesteaders and adventurists from Talkeetna for 33 years. With over 12,000 hours of flight time throughout the Alaska Range in Denali National Park, David is one of the most experienced off-airport pilots who specialize in glacier landings. Sheldon Air offers a modern air service while preserving the personal touch of a family-run business. We want the opportunity to share a once-in-a-lifetime flight, into the wilds of Alaska, with you. We definitely would recommend Sheldon to anybody. I wouldn't even consider going with a different company! I have already gotten so many comments on my Facebook page of the glacier pics. We loved the flightseeing trip with David from Sheldon Air Service in Talkeetna. It was definitely one of the best things we have ever done on vacation! We bought a Groupon and then opted to add on a glacier landing. Paula at Sheldon was very efficient in taking the reservation several months ago and calling a couple days before our July 2 flight. Paula, Holly, and David were all very nice and helpful. 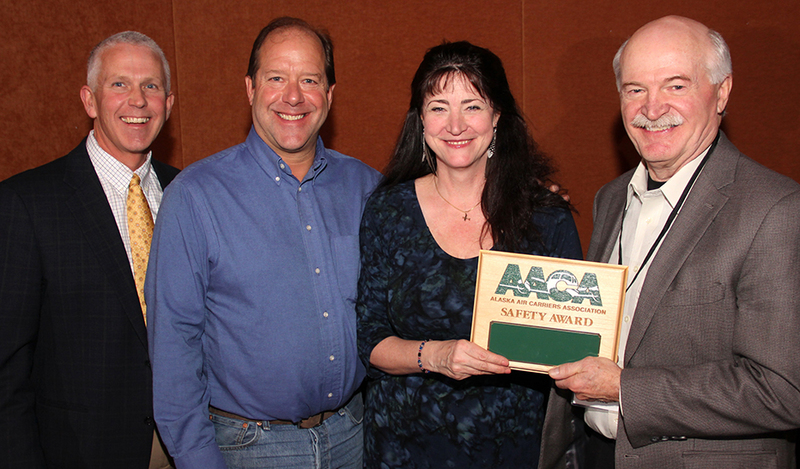 Sheldon Air Service was the only Talkeenta air taxi company to receive recognition from Alaska Air Carries Association for operating the 2013 year without any incidents involving aircraft. Your safety is important to us. Photo: Jerry Wortley, and Clint Johnson, NTSB, present David and Holly Lee with an award.